Penrith is located 50 kilometres west of the Sydney CBD in the local government area of Penrith City Council. Currently the median sales price of houses in the area is $710,050, with 40.7% of homes being owner occupied. The size of Penrith is approximately 12.5 square kilometres. It has 22 parks covering nearly 7.4% of total area. The population of Penrith in 2011 was 11,813 people. By 2016 the population was 13,295 showing a population growth of 12.3% in the area during that time. The predominant age group in Penrith is 20-29 years. Households in Penrith are primarily couples with children and are likely to be repaying $1800 – $2399 per month on mortgage repayments. In general, people in Penrith work in a professional occupation. 35% Couples with Children living at home, 34.9% Couples with no children living at home, 27.2% Single Parents, 2.8% Other. Aboriginal and Torres Strait Islander people make up 5.0% of the population of Penrith. 68.2% of people were born in Australia, compared to the national average of 66.7%; the next most common countries of birth are England 3.8%, India 2.5%, New Zealand 1.9%, Philippines 1.7% and China 1.4%. Nearly half, 47.2% of residential properties in Penrith are free standing houses, 28.5% are semi-detached (row or terrace houses, townhouses etc.) and 23.8% are flats, units or apartments. 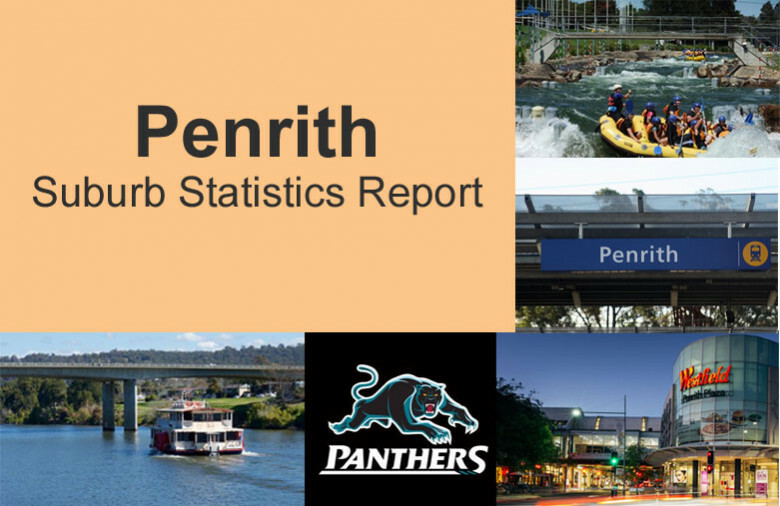 Click here to download the full 21 page Penrith Suburb Report as a pdf.